So you have your Chatbot ready. Eager to talk to your prospects. What to do now? How to put the bot in front of your visitors, let it do its magic and convert them into a Valuable Lead for your Business? 3. Then click on Edit dropdown menu and select Change ads. 4. 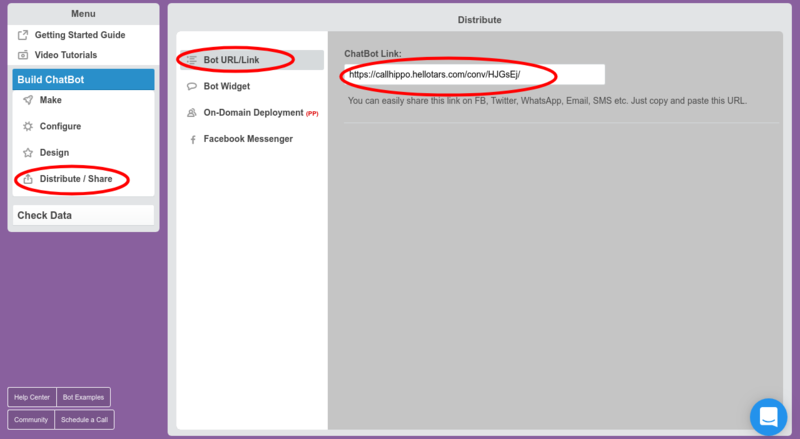 Now, Paste the Chatbot URL that you got from Step 1 in the Final URL field. This will change only the Final URL in your Ad Copies, keeping the rest of the field empty meaning they will remain same as before. Make sure you have the Expanded text ads selected next to it for Make Changes to option. And that's it. You are all done. Click on the links of all the Ad Copies right there to see if they are opening your Chatbot page properly. 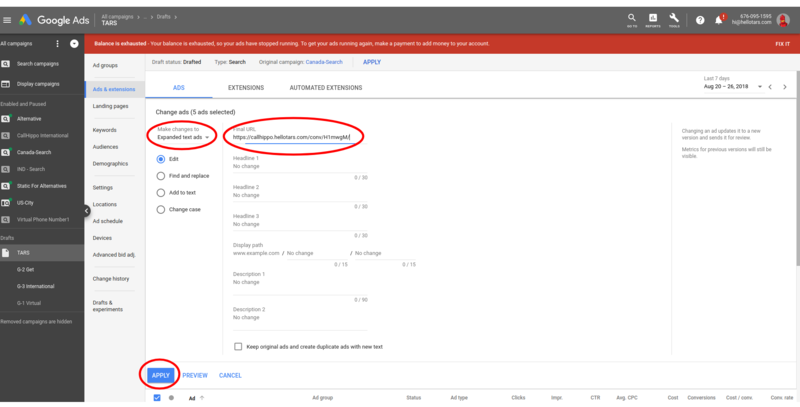 Note: Make sure you change the Final URLs in all Ad Copies for Desktop, Mobile, Responsive Search Ads and Expanded text ads. i.e.. wherever there is a Final URL field in the Ad copy in that Campaign. Congrats!! on completing the exam. But I want to give you some bonus marks to optimize your Ad Copy and Track your Conversions coming from the Chatbot. If you put up your Chatbot on your own Domain, then your Ad Copy display URL can remain the same as your domain URL. This means that your CTR won't be affected at all. Here is how to put the Chatbot on your own Domain. 2. 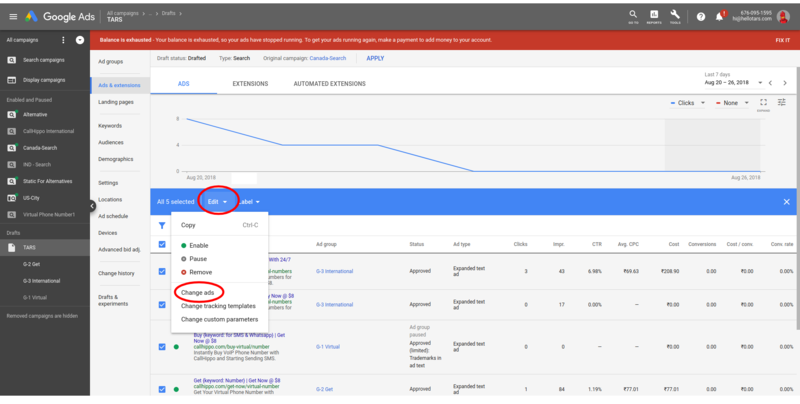 Add Google Adwords Remarketing Tag in your Chatbot and Track Conversion when user responds on a Goal Gambit. 3. If you are the like me, you might be skeptic around experimenting with PPC Chatbots. And before trying out this Chatbot thingy, you want to be able to compare it with what works for you right now. 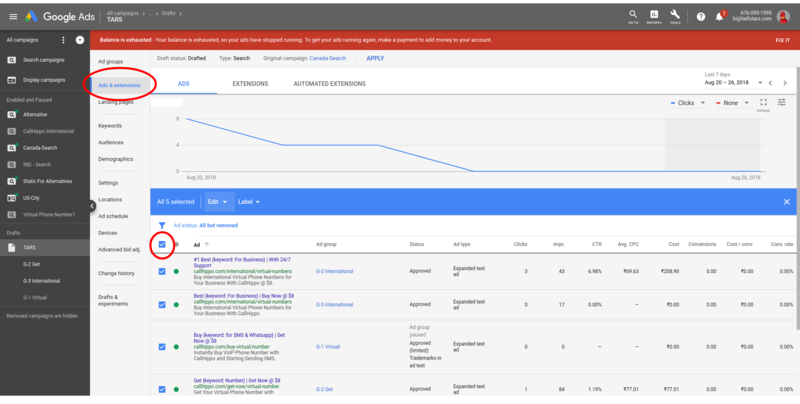 Here is how you can setup a simple A/B test in your Google Ads Dashboard to do exactly that.